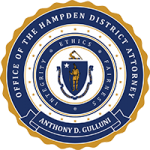 November 14, 2015 –Springfield, Mass- Based on a spike in the last 72 hours of suspected opiate-related medical emergencies, Hampden District Attorney Anthony D. Gulluni, in conjunction with Northwest District Attorney David E. Sullivan and Baystate Health, is advising the public that there is an increased risk of overdose and death from the use of illicit opiates, including heroin. Baystate Health’s emergency rooms across western Massachusetts have seen an inordinate amount of overdoses, several fatal, during this period. District Attorneys Gulluni and Sullivan stressed awareness of the “Good Samaritan Law,” which ensures that those who call 911 to report an overdose for themselves or others, will not be charged with the possession or use of opiates. At the direction of District Attorney Gulluni, the Massachusetts State Police Detective Unit attached to his office is conducting an investigation. Anyone with information is asked to call the Springfield Police Department at 413-787-6310, the Massachusetts State Police, Springfield Barracks, at 413-736-8390, or use the anonymous service, Text-a-Tip: text message “crimes” (274637) and begin with the word “solve”.